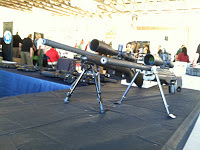 No, I'm not talking about the balmy Florida weather, but the amazing two days spent at the International SWAT Roundup. 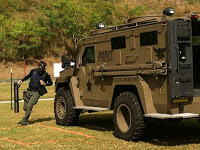 The concept is simple: dozens of SWAT teams from around the world, coming together for a competition that, eventually, will crown the best team, but that is really designed to celebrate and test the skills of the heroes that keep countless communities safe and orderly around the world. 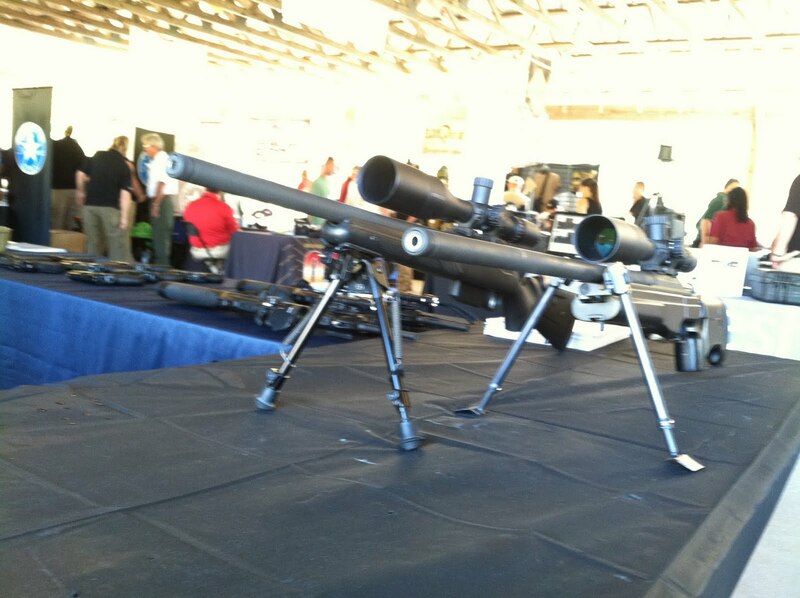 Beretta participated by having their products on hand, to display and answer any question about our key tactical products, including the Tx4 tactical shotgun, the Cx4 carbine, the Benelli tactical shotguns, and Sako and Tikka products. During the five-day competition (I could only attend two, as duty calls back in DC,) each team is tested in competitions that range from hostage rescue, to repelling, to sniping. On Day One, the teams were confronted with a hostage situation: the objective was to raid a building and neutralize all threats without harming the hostages. In the afternoon, each SWAT team completed a raid that required teamwork between a sniper and short-arm shooters who, after making their way through a door by way of a battering ram, had to confront fast-moving targets. All of this donning gas masks! 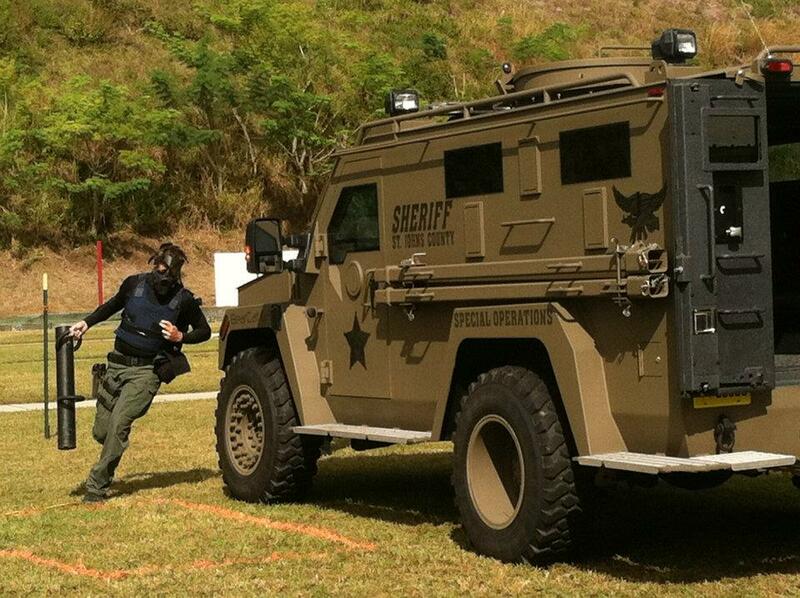 On Day Two, the SWAT teams faced a climbing wall, a barricade and a host of other obstacles. Teams were required to rig a zip-line to traverse a small river, rush to the action site and take their place at the shooting site: four members of the team would fire at fast moving objects with their short rifle or handgun, while one sniper would take position atop a roof in an attempt to hit two, four-inch targets roughly 75 yards away, one of which was rigged with explosive, clearing identifying when it was hit. The adrenaline-filled air was almost palpable, as the teams raced across the large property, focused solely on completing their task. Team after team, from the Orange Co., Florida, to the Kwaiti SWAT Team, from the men of Lake Co. Sheriff's Office to the Russian, Jamaican, and Bosnian teams, each group tried to out-do the next, to eat a few seconds by running faster, shooting better, or crawling harder. What impressed me the most, however, was not the indisputable skill of these men, who put their life on the line when "common weapons and tactics" are insufficient. I was actually astonished at the amount of teamwork they exhibited. Each team member had a specific task, whether it was sniping, using the battering ram, clearing a room as the first man in, or covering with fire while others took position; the key to success, however, was not simply to "do your job" but to do it in such way that allowed others, in turn, to complete their task. On the sideline, other SWAT team members were screaming words of encouragement, rooting for their brothers in blue to complete the course. In those moments, it was not just the sniper crawling, rifle in tow: it was the entire team carrying him toward the finish line. More images captured during the event can be found on our Official Facebook page albums here and here. It became clear how the arduous task of special force members in every law enforcement agency is not simply about knowing how to operate a firearm, or snipe a small target at hundreds of miles: the most important skill is the ability to work together, to encourage one another, to stop and turn when you feel that a team member is in trouble. Every SWAT member, whether behind a gas mask, on the field, or behind the stantions, cheering and encouraging, was an active victory-maker. It was as if coordination disappeared, to give way to one solid body, working in unison. Needless to say: I was impressed. Eventually, I had to leave the sunny and warm weather of Central Florida and the inspiring tasks of the International SWAT Roundup, but I bring back with me, to DC, the spirit of the games. I may never be in a hostage rescue situation, but I can sure benefit from the lessons taught by these heroes.